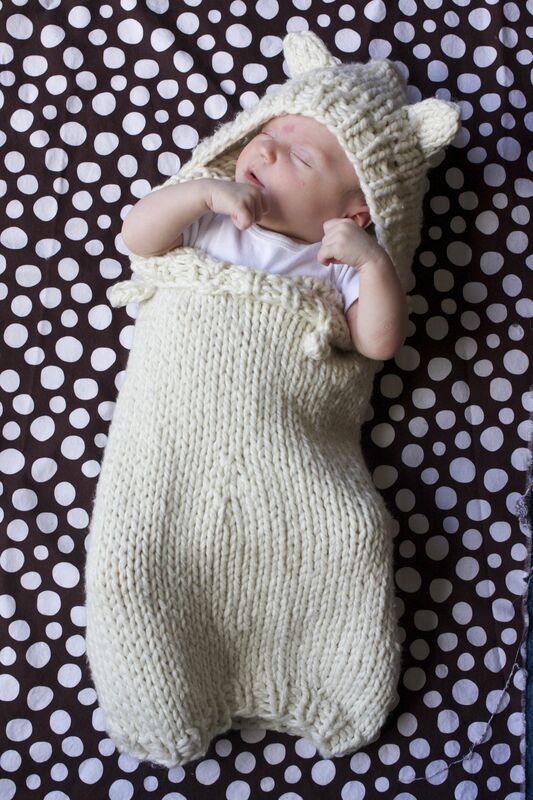 There seems to be some sort of debate as to whether or not babies like to be swaddled, the only conclusion I can draw is that it depends on the babe. My babe prefers the arms free approach, couldn’t even get her to put her arms in for a picture. She does, however, like to be warm. 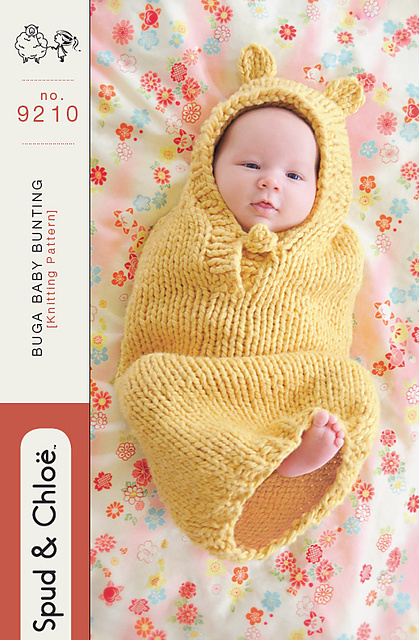 The cold weather up here on the mountain means baby must be well layered and the Buga Baby Bunting has been perfect for sleeping. Feel are easily accesible for a quick diaper change too. 4 skeins of Spud and Chloe outer will make this charming item and because it’s a thicker yarn it will knit up nice and quick. Thanks Anina! The UY special this week is Berroco Suede, 50% off regular 9.95, on for 4.97. This is a unique yarn so check out the Berroco website for free patterns! This entry was posted on Tuesday, March 8th, 2011 at 12:57 am	and is filed under Uncategorized. You can follow any responses to this entry through the RSS 2.0 feed. Both comments and pings are currently closed.